Development on Telltale Games’ The Walking Dead: The Final Season will continue with Skybound Entertainment seeing the game through to completion, The Walking Dead co-creator Robert Kirkman said. Kirkman, the co-founder and current chairman of Skybound Entertainment who's also the writer and co-creator of The Walking Dead comics, announced the news about Telltale's The Walking Dead project on Saturday at New York Comic Con. Originally developed by Telltale Games, a company known for its episodic, narrative-based adventures, Kirkman and Skybound Entertainment will now oversee the project. His announcement that development of the final season would continue at Skybound comes after he hinted that some sort of news pertaining to the game’s future was on the way. 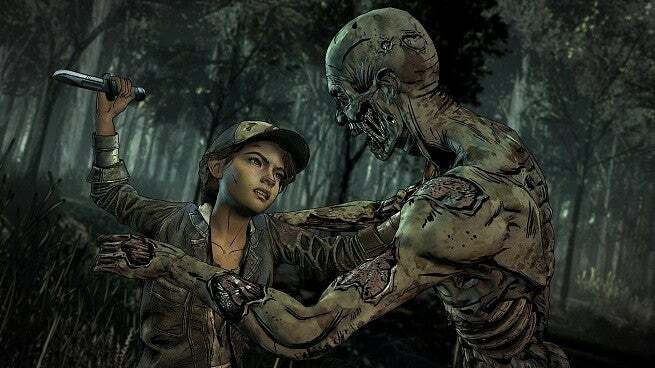 When asked what Telltale character he’d like to see added to The Walking Dead comics that he’s known for, Kirkman said “Definitely not Clementine!” who serves as one of the protagonists of the series before alluding to the future of the game. “All I will say on the Telltale front is just stay tuned,” he teased. “Everyone is trying to make sure Clementine's story gets told...I am not concerned, at the moment, with having to tell the story in comic book form because I am hoping the story will be completed. I may have said too much!" Kirkman’s announcement that Skybound Entertainment would take over The Walking Dead: The Final Season follows a tumultuous series of events that revolved around Telltale’s The Walking Dead project. After laying off the majority of Telltale’s employees with no severance and only a skeleton crew remaining, Telltale said that it was actively working to finish The Final Season’s story with help from a different studio. The company also expressed hopes that whatever company took over development of the game could do so while hiring former Telltale Games employees to work on the project. The most recent news prior to Kirkman’s announcement on Saturday revealed that even more of the remaining employees that composed the skeleton crew had been let go despite claims that they’d be around for the foreseeable future. No further details on how The Walking Dead: The Final Season will be completed with Skybound Entertainment's help were shared.